3rd COMPLETE SET: Kill off the Blocking Decoy! Kill it now! 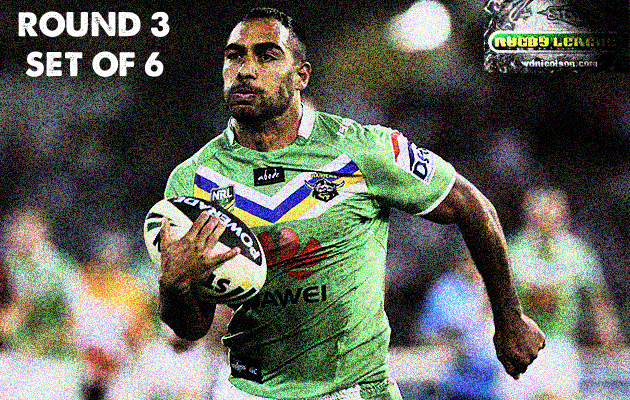 Reece Robinson steered the Raiders to how many wins against the Dragons in their last 15 games? Answer below. Can you see Martin Taupau? No... well he can't see Cooper Cronk either. And isn't it refreshing to see NRL Refs Boss Daniel Anderson start taking a stand against it? Don't get me wrong - under the way the game has been heading in the last four or five seasons - the Cooper Cronk try that was pulled back for Bryan Norrie's contact ahead of the play SHOULD have been awarded. But don't you dare try and tell me that it is a 'natural' Rugby League play. It is an NRL coaching adaptation from the NFL - and it's called Blocking. Flat out cheating in other words. Here is the play... starting at the 2:17 mark. 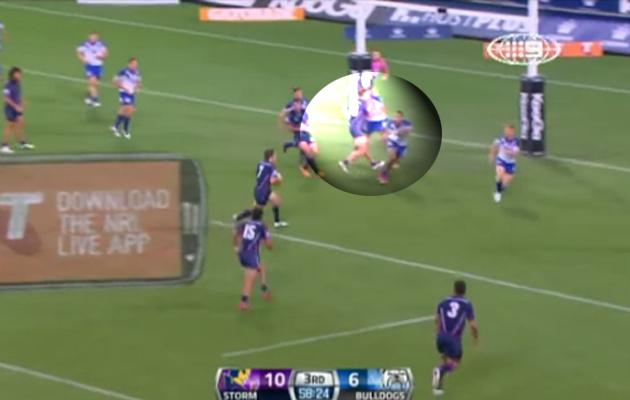 So why do I think Norrie's run was correctly ruled a penalty to the Bulldogs? While defences are getting better, players fitter etc - make no mistake that coaches have looked to the pro game in the USA for tips on how to break down these defensive improvements and they've adopted the BLOCKING DECOY to devastating effect on the way Rugby League is played. Now I've got nothing against the decoy runner... unless that decoy runner is physically never in a position to get the ball at any stage. When a coach sends two or three blocking decoys out they are never going to get the ball because they are always two or three metres in front of the play. Their job is simple - blind the advancing defence from the play that is unfolding behind them. It's not about confusion or making the defending player make a bad read in defence - it's about blocking them from being able to reach the ball carrier and/or move laterally. And gee it works well... too well. All Votes from Round 3 are below. So kudos to Anderson and his referees - keep this up and the game a number of us grew up on in the late 1980s and early 1990s (when true attacking footy was championed by the Raiders and Broncos) may yet retun to us. And the kicker in all of this? The best attacking players will still be the best attacking players - but the defensive lines will get half a chance to try and stop them without an illegal blocking decoy in their face. Otherwise if you let this trend continue - players will make squads for their ability to BLOCK not actually play Rugby League. Don't agree with me? Well you've seen the NFL right? It's good but it's no Rugby League and once coaches get free reign to block at will - the game will become what we see in America... good but not great, and full of helmets! Australia says NO to BLOCKING DECOYS! Do you think the game is reacting the right way to Blocking Decoys? Please comment below or reply on Twitter. Here is the rest of the 3rd Set of Six on www.wdnicolson.com. Round 3 - Six points that emerged from a four day footy week. A tip of the hat to the SMH's 'Set of 6' and Andy Wilson's 'Set of 6' for the name, as Complete Set just doesn't roll off the tongue quite as well, and well call it flattery that you've already used it. FIRST TACKLE - Did Slater bring this on himself? SECOND TACKLE - Harrison will decide if he's concussed or not... should he? THIRD TACKLE - Canberra make it 14 wins from last 15 starts against Dragons... Hoo - meet - Doo. Canberra, Canberra, Canberra, Canberra, Canberra, Canberra... Dragons... Canberra, Canberra, Canberra, Canberra, Canberra, Canberra, Canberra... and Canberra. Whether you are a Raiders or Dragons fan... that is an incredible run in Rugby League. Funny thing is - Canberra fans know all about being on the other end of the scale... check out their record against the Storm from 2003 to 2009. For The Postman's analysis of each game for Round 4, with our NRL Dream Team and NRL Super Coach tips for players you need to consider/ignore from each side - click here. FOURTH TACKLE - Corey Norman goes to the Eels... So Broncos threaten to poach? The Brisbane Broncos are one of the proudest clubs in the competition but they have been known to hold a grudge or two over the years. In the decade or so that followed their admission to the competition in 1988 - the Broncos played up the 'us against them' thing in a huge way and once they won their first title in 1992 - became almost a law unto themselves. Which was fine... when you're winning. They remained a competition heavyweight under Wayne Bennett's reign but signs were there that the club was falling away on the field as Darren Lockyer's career wound down (by falling away I'm talking about from a star studded juggernaut here). The club missed the finals for the first time in a generation plus under Ivan Henjak and despite his replacement - Anthony Griffin - doing a wonderful job in the final year of Lockyer's career to get them to a Preliminary Final and then setting in motion the next wave (Corey Norman at five-eighth)... the higher ups decided they needed a premiership in 2013 so they went out and signed the well and truly past it Scott Prince. Norman was told he'd have every opportunity to stay in the #6 but come Round 1 - Norman was in the #1 and Prince in the #6. That decision - which is hard to pin on Griffin no matter which way you slice it - has now cost them Norman's presence at the club for the near future... as he's now an Eel (well we think he is) from 2014. Then in response to the Norman news, the club released this article today on their website titled: Broncos on the hunt. For a club that has always signed a marquee name when they thought they had to upgrade - Glenn Lazarus and Gorden Tallis come to mind - this isn't a new mandate at the Broncos... but signing a 'marquee name' out of spite? That's something new... isn't it? 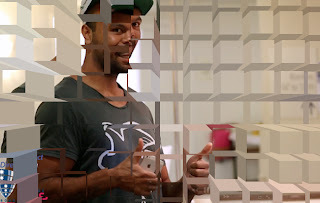 FIFTH AND LAST - Has Kurtley Beale been linked with an NRL club yet? The Rugby star was sent home from South Africa by Melbourne Rebels team management for a post-match scuffle with team-mates... and allegedly it's not the first time he's acted up while on the alcoholic beverages. But this isn't about Rugby, it's about the person. Has anyone seen that yet? Because incredibly - OVERS is the current winner. And thankfully that's the best result - let the kid get his head together, get help and get some more help. So please rumour mongers - don't link him to an NRL club just to fill some column inches. Well within the hour of posting this Set of 6... the Daily Telegraph's Andrew Webster delivered an emphatic NO! ...and linked Beale to the Dragons. SIGH. 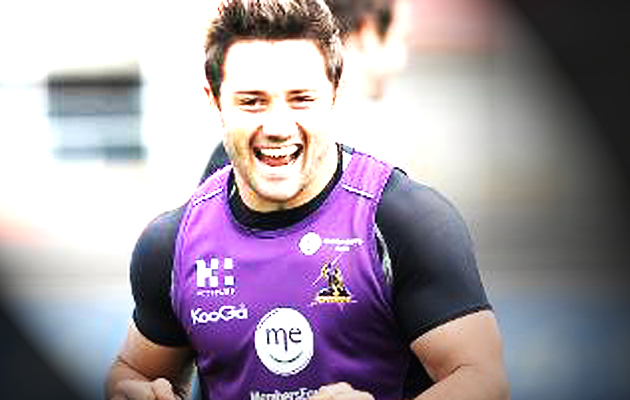 CHANGEOVER - With 3 Rounds done and dusted - Cooper Cronk is leading the race to be The 2013 @NRLTweet Player of the Year. Cronk took maximum points from Round 1 and 2 and picked up another 2 votes in the Storm's win over the Bulldogs on Thursday night, to post 18 Votes through 3 weeks. He leads Cronulla's Todd Carney (13) by 5 votes, with Chris Sandow and Greg Inglis a further point back on 12 votes. With just three rounds to go until the Representative Weekend featuring the ANZAC Test, NYC Origin game and City v Country Origin match (which is just a tad early in the schedule for my liking but I also love the fact we have a dedicated rep weekend) - Cronk will be Australia's #7 with a bullet. But the City v Country spots are well and truly up for grabs and hopefully every eligible player wants to make an appearance in Coffs Harbour come April 21st. If you are thinking about going - check out the Country Rugby League website for ticket and event information. As regular readers of www.wdnicolson.com and followers of @NRLTweet know - we run The @NRLTweet Player of the Year Awards each season (starting in 2010) and they return once again for 2013 with another group of excellent Rugby League judges. One of the reasons we set this up is the Dally M Award lacks the kind of objectivity that a true player of the year award really should have, and while we aren't claiming our system is perfect - it is judged on what happens on the field with reputations and bias left by the wayside. This is how the votes were handed out for Round 3. 8 - B Slater, 2 - C Smith C Cronk D Low. 8 - R Farah, 3 - C Lawrence, 2 - M Koroibete, 1 C Sandow. 4 - N Myles L Bailey S Matai, 1 - A Sezer K Foran. 6 - J Maloney, 4 - S Moa, 2 - SB Williams J Waerea-Hargreaves. 6 - A Fifita, 4 - T Carney, 2 - A Tupou, 1 - J Bukuya J Robson. 8 - G Inglis, 3 - J Sutton, 2 - S McKendry, 1 - B Te'o. 8 - R Robinson, 3 - J Croker, 2 - S Fensom, 1 - J Edwards. 6 - J Mullen, 5 - D Boyd, 2 - T Roberts, 1 - D Fa'alogo. 9 - S Matai, B Slater, R Farah. 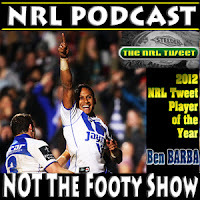 Share your thoughts on the footy so far by commenting below or replying on Twitter.